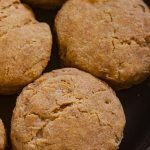 This Flaky Whole Wheat Buttermilk Biscuit has exterior to be flaky and the interior pillowy and light. 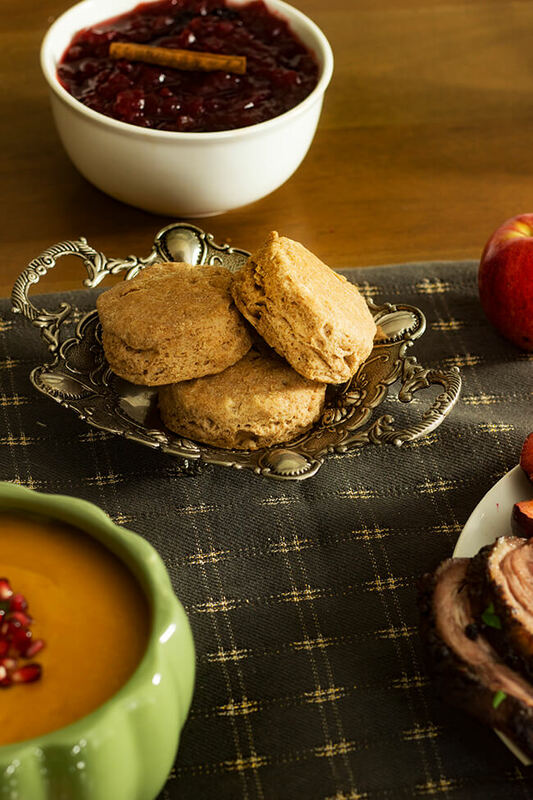 Satisfying and healthy is a pretty hard combo but these biscuits deliver on that promise. I have pretty high standards for biscuits. I need the exterior to be flaky and the interior pillowy and light. 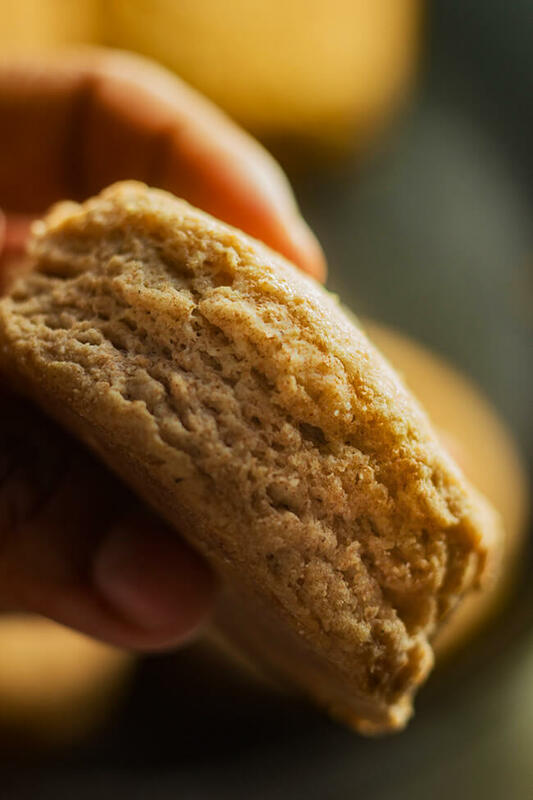 If you have ever worked with whole wheat flour it is pretty easy to make a hockey puck. 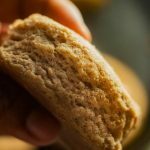 I took a few days tweaking my grandmother’s recipe to use whole wheat flour after a quite a few of you guys asked for this. Can I admit something??? I find that whole wheat flour is quite drying. 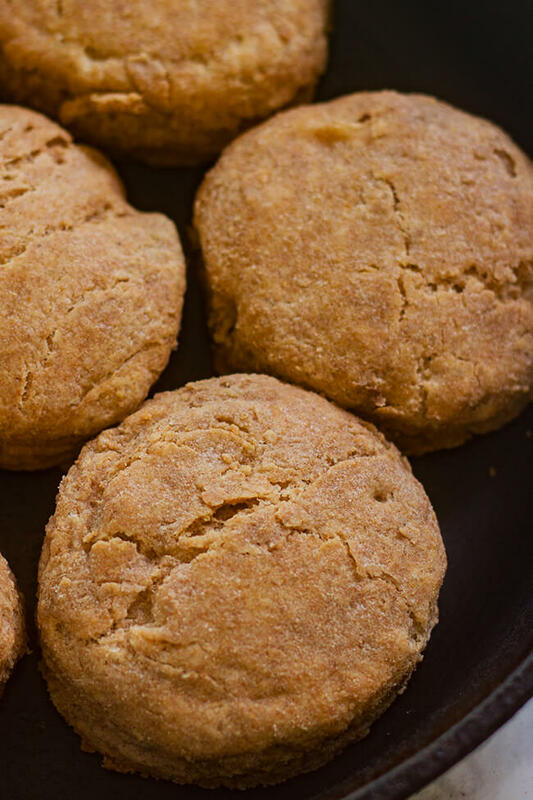 It is a hard combo to find the right amount of buttermilk without making the biscuit gummy. On a side note! do you see my butter thief???? 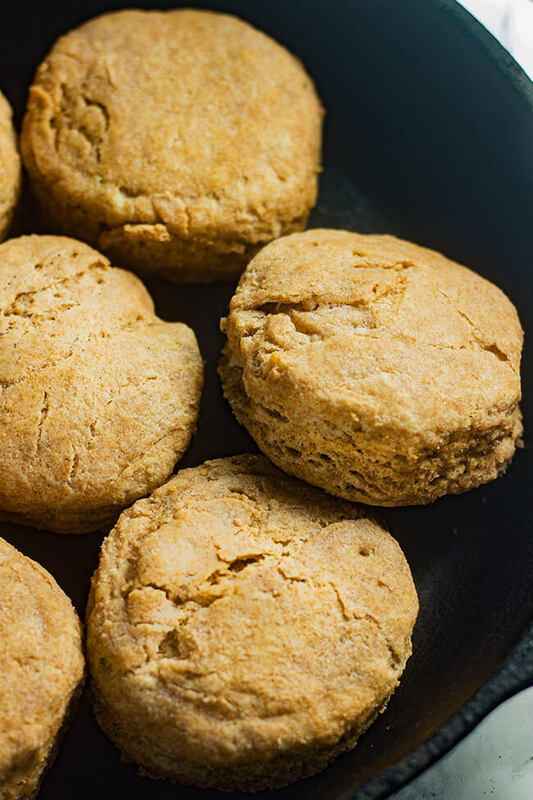 But the key to making these biscuits as is with any biscuit) is SUPER FROZEN butter. That makes sense in my head. what I mean is the butter has to be frozen solid. I cut my stick of butter into cubes and then pop it back into the freezer until the very second you are going to use it. Do you see the invisible visible hand? that would be my little helper. She helps me with dinner overnight but she steal a few wads of butter here and there. It was too cute that I actually caught her in the act. You have to be aware of the dough. If your house is hot make sure the butter stays ice cold.It is imperative that it stays ice cold. Have I said it enough yet? Yeah? Good! 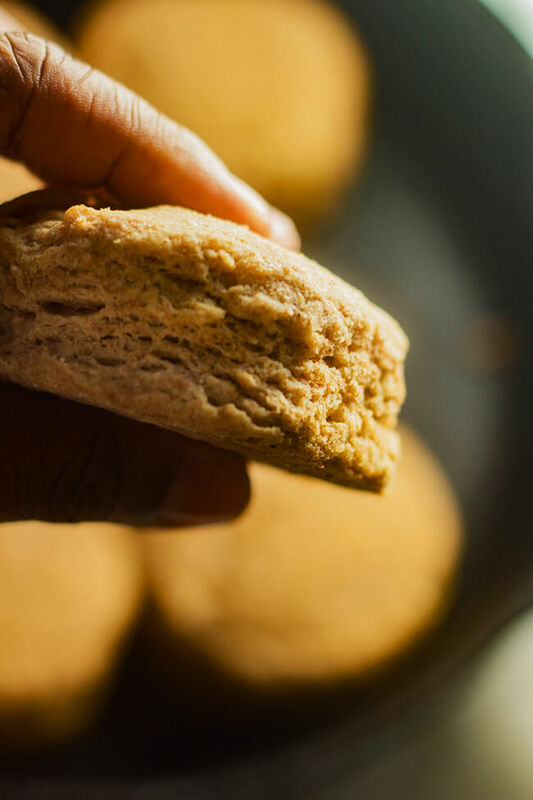 Making biscuits is almost like a lesson in science. When the cold/ frozen butter hit the hold oven it causes the crisp exterior and the fluffy interior. Also it gives the biscuits a nice rise. Mix them together and immediately you will see the milk start to thick even curdle. Use every bit of it in the recipe. I did the official test tasting at our early thanksgiving dinner this past weekend. I got the thumbs up from my grandma and the kids. Those seem to be the toughest biscuit critics. We are actually having a large dinner party every weekend until thanksgiving. So I’ll be sharing what we had on the menu a little more tomorrow. So make them today and feel less guilty tomorrow! 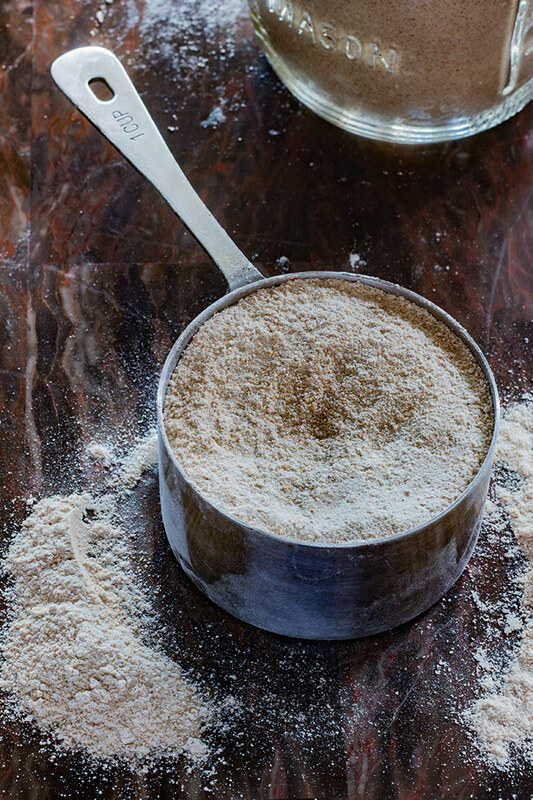 Sift flour, baking powder, sugar and salt into a large mixing bowl. Transfer to a food processor. 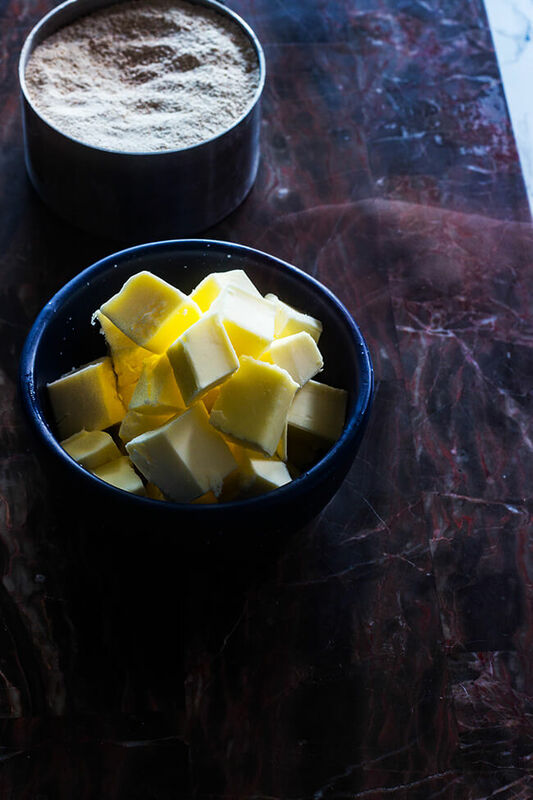 Cut butter into cubes and add to flour, then pulse 6 or 7 times until the mixture resembles rough crumbs. 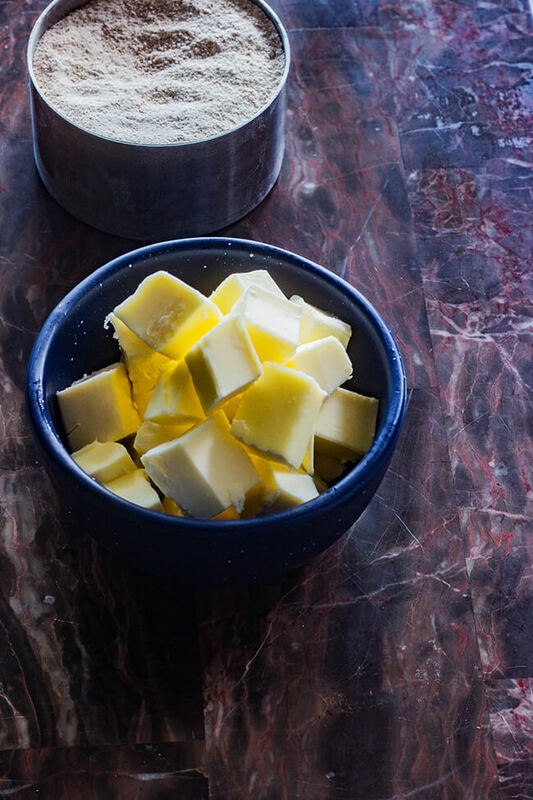 (Alternatively, cut butter into flour in the mixing bowl using a grater, fork or a pastry cutter.) Return dough to bowl, add buttermilk and stir with a fork until it forms a rough ball (don’t worry if it is a little sticky). 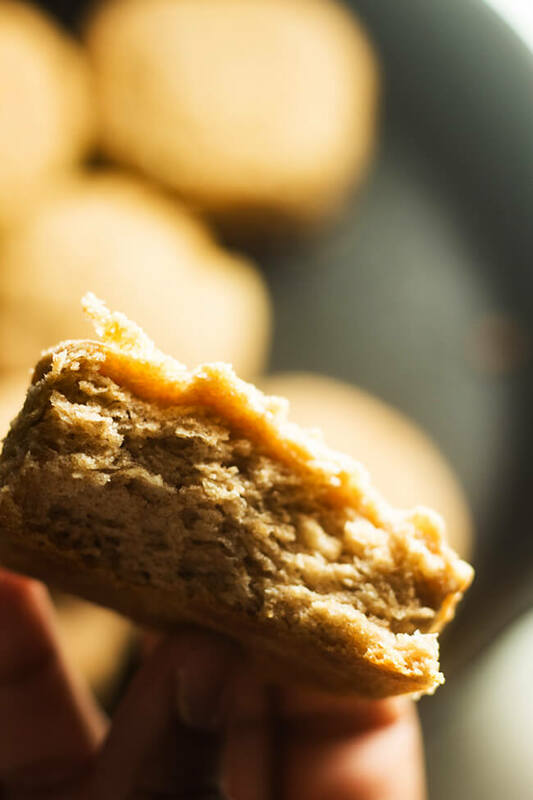 Place biscuits on a baking sheet and place in oven. Bake until golden brown, approximately 12 to 15 minutes. Serves 6 to 8. Brush on the melted butter and enjoy!